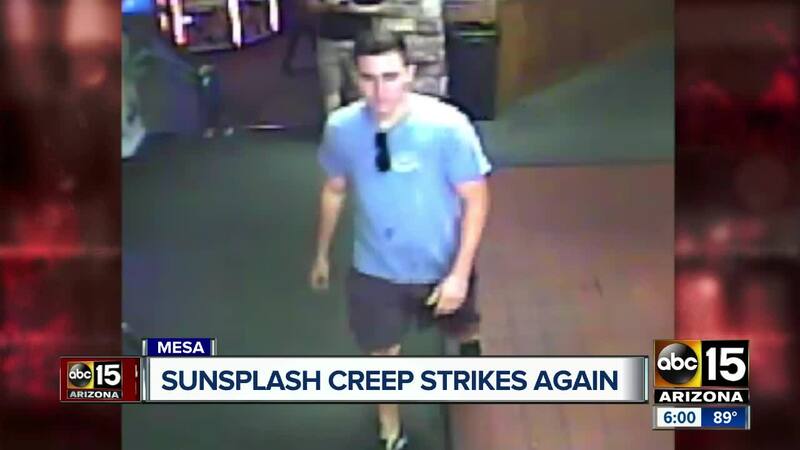 Police are asking for the public's help to locate a man who was seen acting suspiciously with children in two separate incidents at Golfland Sunsplash. 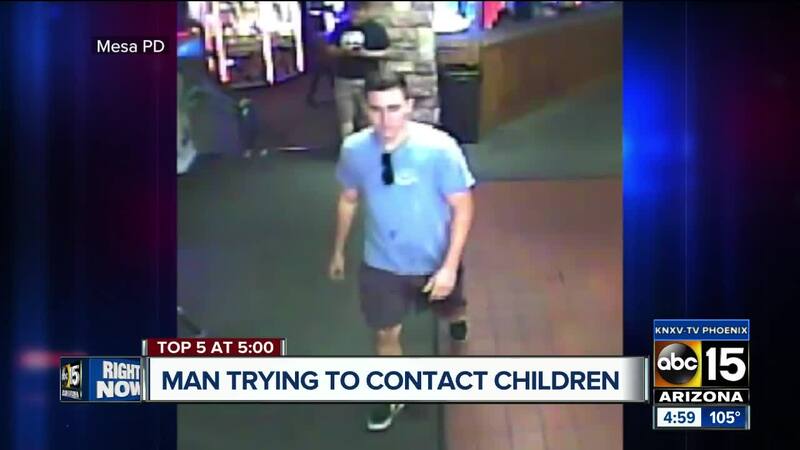 Mesa police said the man lured children to a secluded area within the park and was seen wearing a similar outfit to park employees. The first incident police received a report about happened on June 8. On Friday, Mesa police said they were alerted to a second incident that had happened on May 19. Police say while they do not have any charges on this subject, it is an active investigation and a high priority to get the man identified. The suspect is described as a white man, 20 to 30 years old, approximately 6 feet tall, and weighing between 180 to 200 pounds. He was last seen wearing a light blue shirt, gray shorts, and black tennis shoes. If you have any information regarding this incident, call Mesa police at 480-644-2211. Golfland is located at Country Club Drive and US 60.